Opening in an ice rink abuzz with the sound of scraping skates and the darting shadows of hockey players, Parallel feeds us the heady energy of the ice hockey team's practice session. Yet it is one unlike anything most of us have ever seen. Players lay down an special sleds and rather than push themselves across the ice they must drag themselves forward on it with a pair hockey stick heads that double as ice picks. Subsequently introducing us to the members of Korea's national physically handicapped hockey team, and then inviting us to witness their disabilities, particularly where they came from, the film makes us realize that the ice rink is a place where these people are free, released from the prejudices and pressures that stem from their conditions and unconstrained in their movements. In a rush of gushing speed, they revel in the aggressive and untethered nature of the sport. When we first meet the team they are a few months away from competing in the Ice Sledge World Hockey Championship in Norway. By the halfway point we've reached the competition and we root for the players in their games against Norway, Canada and Italy. Peppered throughout are testimonies of the team members. Many have found a way to be way despite their difficulties and later on the new players we are shown are those who suffer more trouble in the personal lives. Parallel is a pleasant documentary that is easy to fall in line with but it's also something we've seen a number of few times before and proves unable, or perhaps unwilling, to push the bar further with its own narrative or style. Commercial cinema, when done very well, can sometimes get away with lacking an original focus, but documentaries, which are less rigorously bound by rules and formats, generally face a lot of pressure to talk about something different or show their stories in a fresh way. 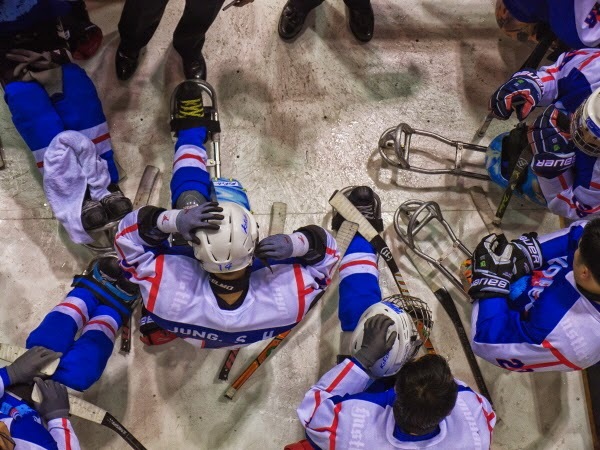 Initially engaging, Parallel begins to spin in wheels soon after its intro and by the halfway point, it becomes clear that it doesn't really have anything special to say beyond showing the world of disabled ice hockey. This leaves the competition they take part in as the sole driving force of the narrative and though this seems like a logical decision, it also proves somewhat problematic. We of course empathize with and root for the team, but as they go up against other teams, whose members have similar disabilities and likely face the same problems in their own lives, it feels a little off to be rooting for the opponents to lose. It's a misleading example of audience loyalty, though surely an unintentional one. However, it's in its climax that Parallel goes totally off piste. Cloying music that could easily come from Korean TV dramas clouds the soundtrack and a sickly saccharine air enters the proceedings, relegating the film to the level of a feel good TV doc. What's more, the director's approach almost comes off as disingenuous when he skips over a major part of the tournament for unclear reasons. 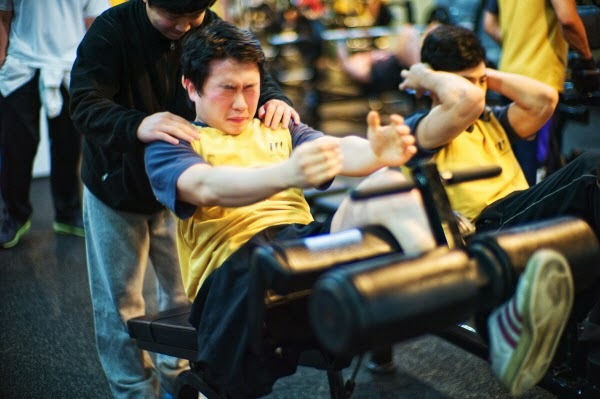 Reminiscent of earlier works such as Murderball (2005), but simplistic in its approach and lacking depth and resonance, Parallel is a nice and well-meaning but ultimately throwaway documentary.